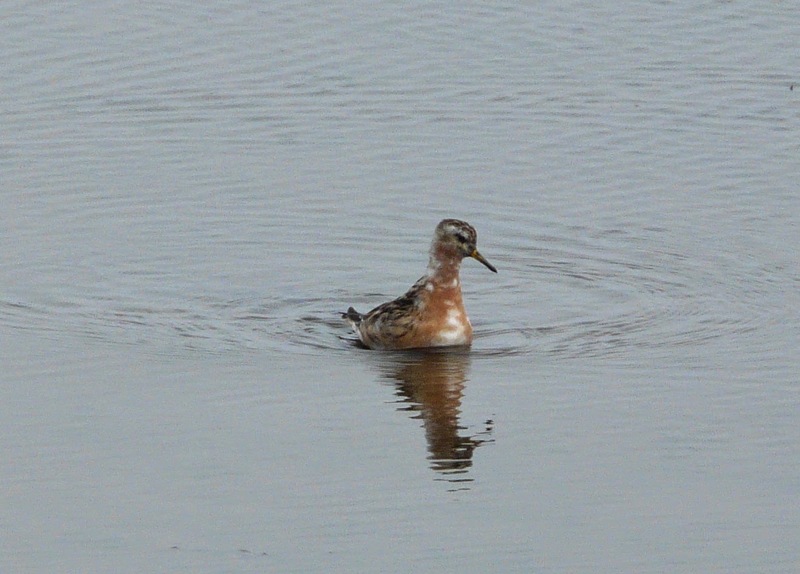 As we enter mid-summer, the last few days, as expected have been fairly quiet with the Grey Phalarope at Gretchen the continuing highlight. A few waders have begun to return though, with the first 2 Purple Sandpipers on 27th when there were also 124 Turnstones and Golden Plovers peaked at 134. Occasional Black-tailed Godwits have also been seen, while the 3 Little Gulls on Gretchen were joined by a fourth on the latter date. 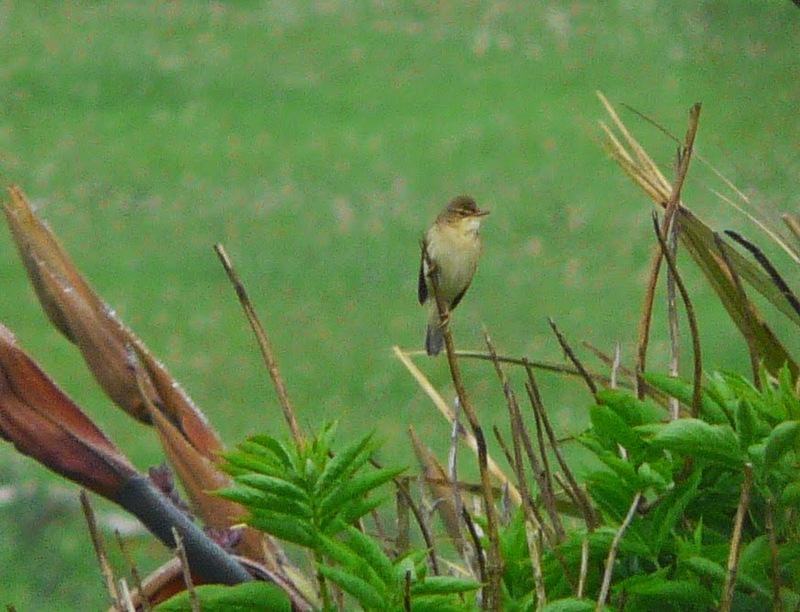 Passerines sightings were few and far between but the 2 Chiffchaffs remained in Holland gardens. Coverage hours have dropped significantly as efforts are focused on other projects and ringing the chicks of our breeding birds. The Grey Phalarope continued to entertain and 2 little Gulls remained to 23rd at least, 2 Collared Doves, and a new Chiffchaff were present on 24th when increasing numbers of Golden Plovers reached 91. The Turtle Dove and 2 House Martins were on 21st, a Pochard on Bewan on 22nd, 32 Knots were on Gretchen on 23rd when a Whimbrel flew south and a single Red-throated and 2 Great Northern Divers lingered on. The spring has kept churning out new birds but things are becoming noticeable quieter now. Lingering scarcities on 18th included both the Western Subalpine Warbler and Marsh Warbler at Holland House while the Grey Phalarope also remaining on Gretchen Loch, being last seen on 19th. The Turtle Dove was seen on 2 dates during the period and up to 3 Little Gulls have been noted among the Arctic Terns on Gretchen. A Quail singing at Senness was possibly a new bird, while a sign of things to come were the presence of a few returning waders, with 43 Golden Plovers on 20th and 16 Bar-tailed Godwits briefly on Ancum Loch on 18th. The Scops Owl was seen for a few minutes at Holland gardens just after midnight on 16th but with no subsequent sign both day and night it's assumed to have moved on. Other sightings that day included 2 Black-tailed Godwits and 2 Little Gulls on Gretchen Loch while the Marsh Warbler continued to sing at the gardens regularly. As our minds turn to other projects and breeding birds, coverage is starting to thin but routine ringing at Holland House is still paying off with the star bird of the 17th being a smart male Western Subalpine Warbler caught and ringed in the morning. A Turtle Dove was also there and the Grey Phalarope spent the day on Gretchen with a single Little Gull also present. A Quail singing near the school was new while 6 Great Northern Divers off the coast were likely to include some new birds and Golden Plovers have started to appear too with 16 near Holland in the evening. Nothing to report from the 14th despite plenty of effort and by stark contrast the 15th can be described in one, often used word today-Epic!!!! 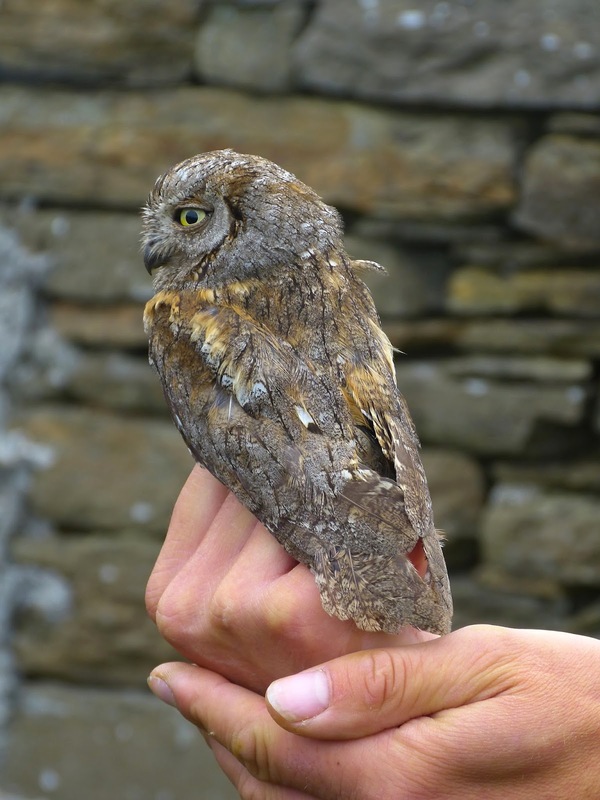 The phones were ringing just after 6.30am when a magnificent SCOPS OWL was disturbed from its roost in Holland gardens flying straight into an open mist-net! It returned to the gardens sycamores after ringing where it was left it in peace hidden from view but we'll be heading up at dusk to see if it calls/comes out to hunt. Its been a great spring on the Island and this fantastic little bird puts the icing on a very fine chocolate cake! The Mash Warbler continued to sing there throughout the morning, even showing itself occasionally and just before lunchtime the Grey Phalarope was re-discovered on the Gretchen Loch where it showed much better than first time around. Also there was the first Common Tern of the year, a lingering Little Gull and the Black-tailed Godwit. An absolutely stunning day with another stunning, surprise to boot! The Heatherlea birding group are on fire discovering the islands third ever spring/summer record of Grey Phalarope on the links golf course just before lunchtime. After initially leading everyone on a merry dance this still very smart partial summer plumage bird was tracked down to Trolla Vatn where it showed well to all. 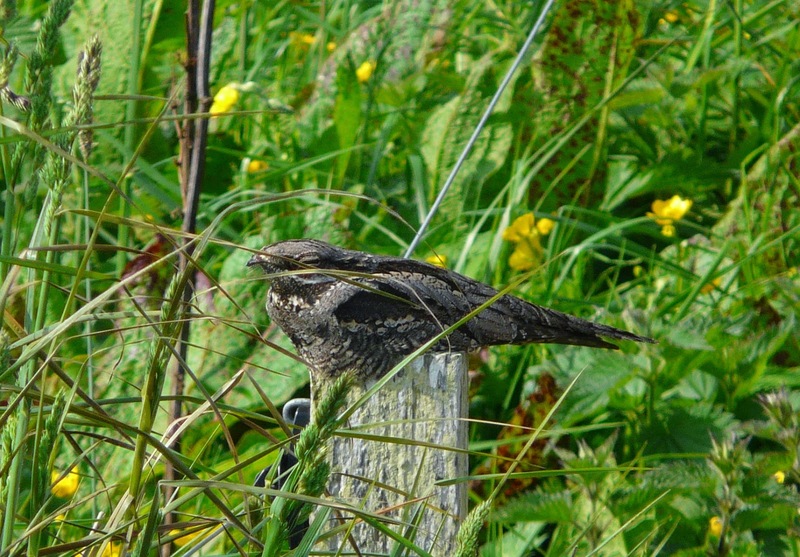 A male Nightjar at Holland House was our third of the spring and after previously being an immense rarity (averaging 1 every decade) during the observatory's early years the species is now annual with 7 in the last 3 years! The Marsh Warbler continued to sing at the gardens with what was presumed to be the same Turtle Dove also there. The behaviour of the Phalarope was quite remarkable, keeping close company with the Arctic Terns and mirroring their flight and actions with astonishing similarity bar the actual catching of a fish! Numerous times it would ascend high into the sky before pirouetting back down to the Loch, following pairs of Terns around as if it were one of their offspring. A truly fantastic and fascinating bird to watch and study! There's often a few surprises in June and that was certainly the case when the visiting Heatherlea tour group found a stunning summer-plumage Black-throated Diver drop into the bay off Westness mid-afternoon. Records traditionally come in April and this welcome first of 2014 stayed for just half and hour before flying off strongly to the north. Another addition to the year list came in the form of a Turtle Dove at Holland House in the evening, with 3 Collared Doves also there while a brief burst of song was thought most likely to have come from a Marsh Warbler (but not confirmed)-perhaps yesterdays bird? There was also a single Little Gull and Black-tailed Godwit on Gretchen Loch while waders along the coast at Lenswick included 68 Knot, 73 Sanderling and 25 Dunlin with a female Pintail there too. With coverage as good as halved this week and the cover growing increasingly taller and thicker, June tends to be a tricky month on North Ronaldsay. Nevertheless the Quail continues to sing at Ancum and the Chiffchaff at Holland, whilst a Kestrel, 2 Woodpigeons and 2 Collared Doves were the only notable migrants on 8th. 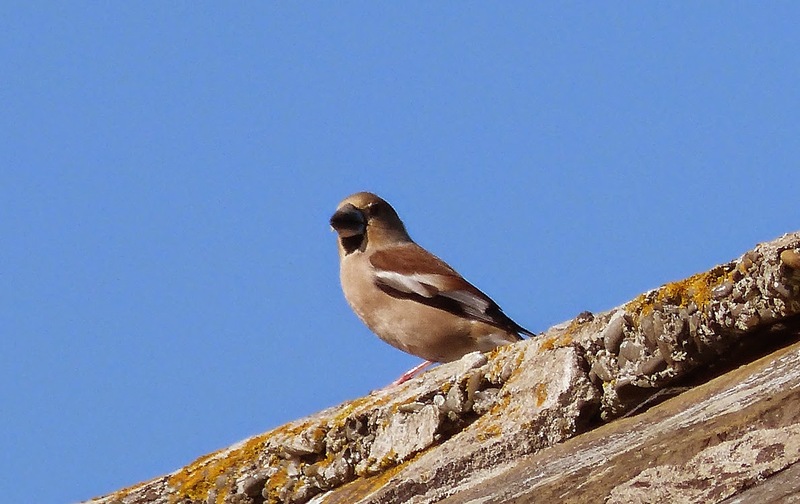 The 9th threw in a surprise with a Hawfinch at Holland House, the latest ever spring record, and the few other migrants were a Spotted Flycatcher, a Willow Warbler and 4 Black-tailed Godwits. A few new arrivals on a day which began murky but cleared to a pleasant afternoon with more of a breeze than of late. There were 3 Red-backed Shrikes seen-a pair at Holland Gardens in the evening and an additional female at Parkhouse. The Quail was still singing in the middle of the island with 2 of the Little Gulls still on Gretchen, 11 Black-tailed Godwits were now at Ancum and just like in previous days a few new common Warblers were also noted. In the afternoon, we entered Hooking Loch to ring Black-headed Gulls and Greylag Geese chicks. Fewer young Geese than usual were found but 26 Gull chicks were ringed with many thought to be less than a week from fledging. Pictures from the visit are on our Facebook page. There have been at least 4 Red-backed Shrikes on the island in the last few days (with the female at Holland House today a likely 5th). This 'grey-headed' female being an easy individual to keep track of as they roam about the place. A mixture of glorious sunshine and fog, on a light easterly breeze has led to some new arrivals so its a shame we've only managed 25% island coverage each day. The highlight of the 5th was our second Nightjar of the year-this time a female which showed brilliantly at Holland House perching on walls and fence-posts in the morning. The Glossy Ibis re-appeared at Hooking once again with a female Red-backed Shrike nearby at Holm, a flyover 'flava' Wagtail, female Crossbill, new Lesser Whitethroat and 5 more Woodpigeons. The 3 Little Gulls remained in the Gretchen area on both dates, while new passerines on 6th were headlined by 2 more Red-backed Shrikes-a male in the Kirbest crop and a female near the airfield. 4 Spotted Flycatchers were also present, along with a Tree Sparrow, 6 Siskins and the Crossbill remained. The first 3 returning Golden Plovers were back with us with 47 Knot still feeding on the rotting weed along the west coast and 8 Black-tailed Godwits at Ancum. Its been pretty abysmal weather wise the for the last 48 hours-thick fog 90% of the time and heavy rain the rest! 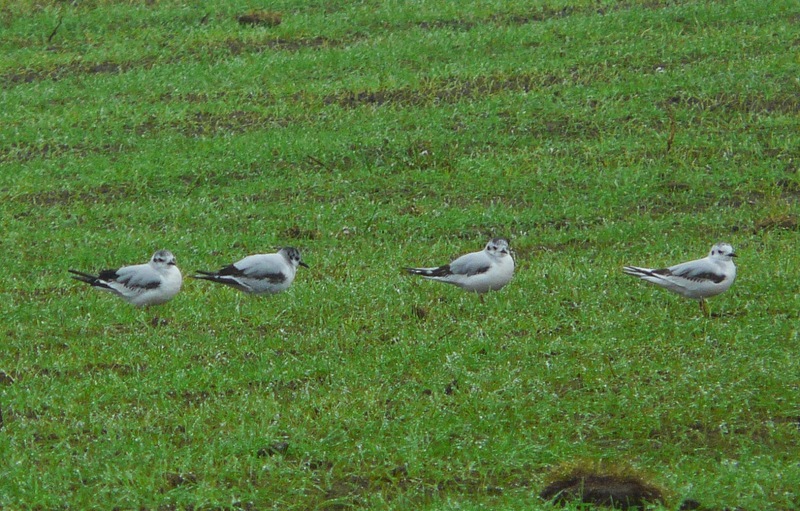 The only thing to report from 3rd was 4 Little Gulls in the Gretchen area-presumably the same birds re-locating from Hooking. They were still present the next day when there was a handful of migrants to offer encouragement if the weather improves in the next few days. 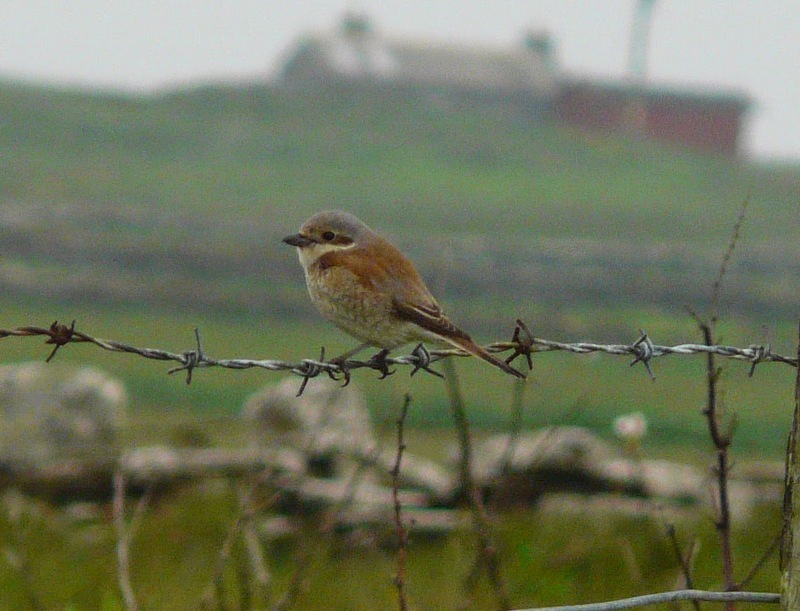 A Quail was singing from the middle of the island, while 2 unseasonal Woodpigeons, a Tree Pipit, Whitethroat and 3 Spotted Flycatchers were also seen. 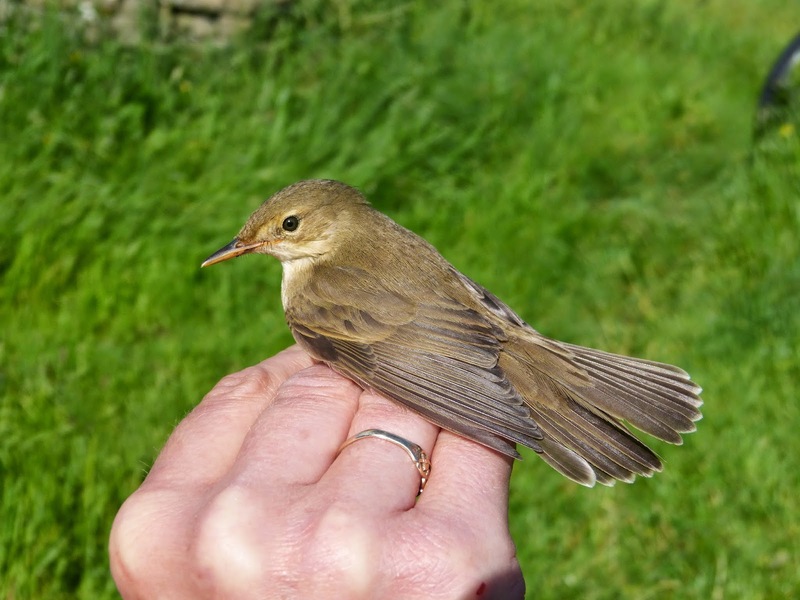 Things traditionally become quieter on the migration front once we enter June and the first few days of the new month this time around were just that, with only a handful of new arrivals recorded. It was the passerines which came on the 1st, with a new female Red-backed Shrike at the Observatory, late singles of Blackcap and Garden Warbler, 2 Spotted Flycatchers and at least 2 Common Redpolls of note. On 2nd it was the turn of a few waders to pass through with a Wood Sandpiper at Kirbest the stand alone highlight while 3 Black-tailed Godwits, 52 Knot and 21 Dunlins were also seen.